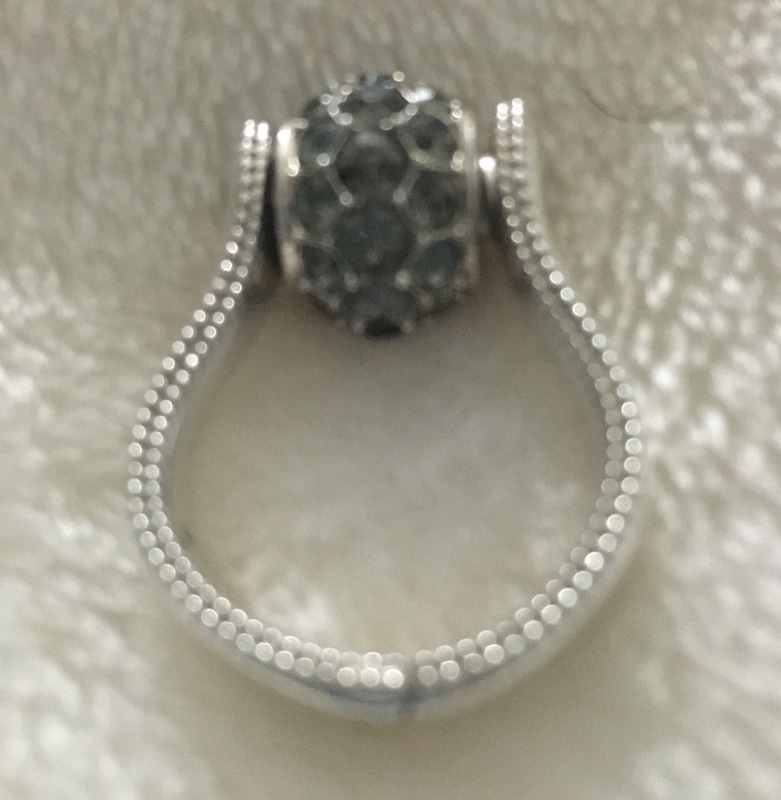 This valentine’s day I got am amazing gift – a beautiful Chamilia Expressions Ring that I had been coveting since I discovered the brand before Christmas. I can’t stop looking at my ring – which unfortunately brought my attention to the terrible shape of my nails! 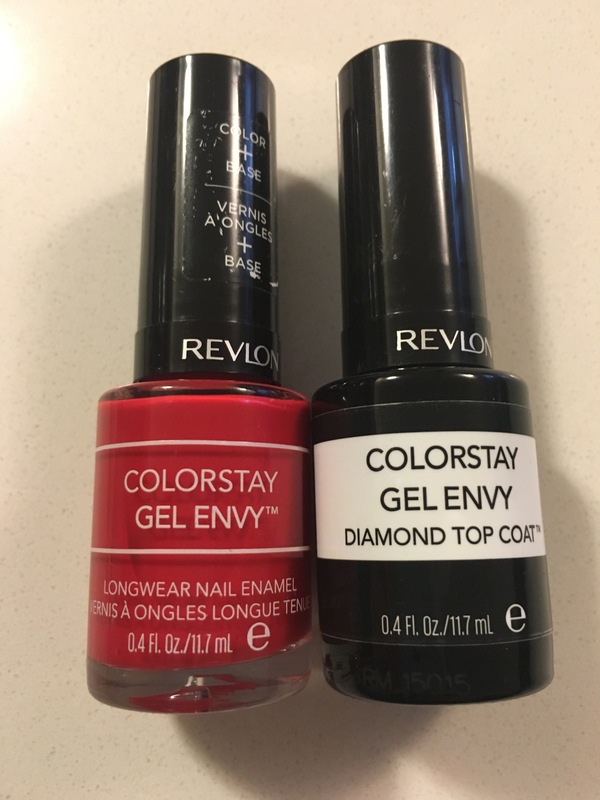 So when I was in the Pickering Flea Market – and saw that I could get 3 Revlon Colorstay Gel Envy Nail Polishes for $4, I assumed is was a sign from the fashion gods! These are super nice polishes with really great rich colors. They go on smooth, thick and easy. The polish dries really fast which is great for inpatient people like myself. The top coat is decent for adding strength to nails – which is great because I terribly weak nails. Now I will say as much as I love these polishes for home manicures – they are not as long lasting and chip resistant as salon gel nail polishes. 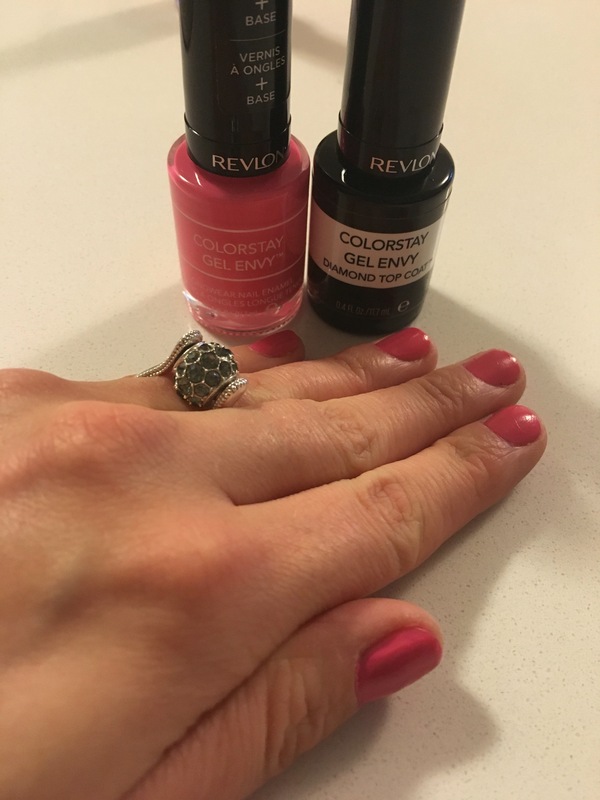 However for the price point – I will stick to Revlon Colorstay Gel Envy for my regular nail care — especially because I can do my nails in PJs while drinking wine! This entry was posted in Beauty and tagged gel polish, Nail, nail care, nail color, nail polish, Revlon by maldham. Bookmark the permalink. I am intrigued! With the top coat added – how long before chips appear.? I currently have a window with gel facsimile home nail app of approx 1-2- hours (i.e., chip on way to work and/or chip just after starting work).